Distressed pine wood veneer with saw marks for a vintage appeal offer rustic flair to these occasional tables. 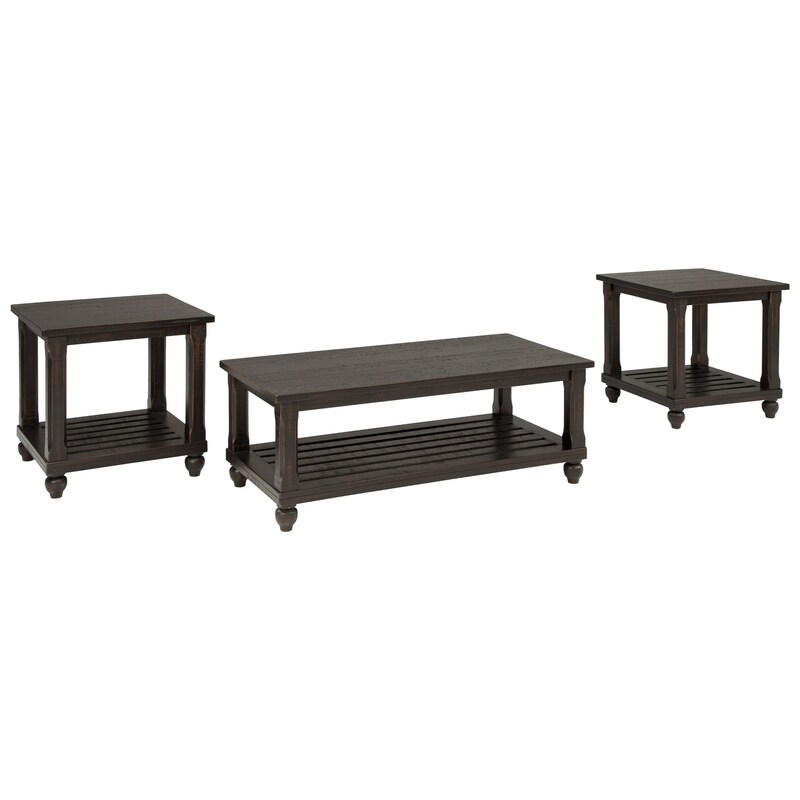 Chamfered legs and turned wood feet create a classic silhouette. Simple slat shelves provide extra storage and display space to your living room. Cocktail table 47.88" x 23.88" x 18.13"
Shelf 46.50" x 22.38" x 1.75"
End table (2) 23.88" x 23.88" x 24.13"
Shelf 22.38" x 22.38" x 1.75"
The Mallacar 3-Piece Occasional Table Set in Black Vintage Finish by Signature Design by Ashley at Michael's Furniture Warehouse in the San Fernando & Los Angeles area. Product availability may vary. Contact us for the most current availability on this product. Case Detail Turned feet. Chamfered edges on legs.